Ill health has forced Independence managing director Chris Bonwick to resign from his position at the company. Independence announced on Friday it had accepted Bonwick’s resignation which is effective immediately. 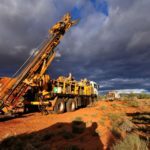 “Chris Bonwick has been integral to Independence Group’s success from a small explorer to a multi-mine producer,” Independence chairman, Peter Bilbe said. 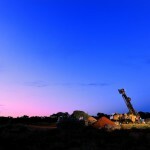 Clocking up 13 years at the company, Bonwick has been involved from Independence’s beginning, including listing on the ASX, the discovery of its Tropicana gold deposits and the takeover of Jabiru Metals. 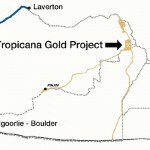 Most recently he has been involved in the construction and commissioning of Independence’s Tropicana Gold project. Thanking Bonwick for his leadership and hard work, Bilbe wished him well in the future. In the interim the company’s group operations manager Brett Hartmann will remain acting chief executive officer, assuming the responsibilities of managing director while the board determines a permanent appointment.